There’s no doubt about it. 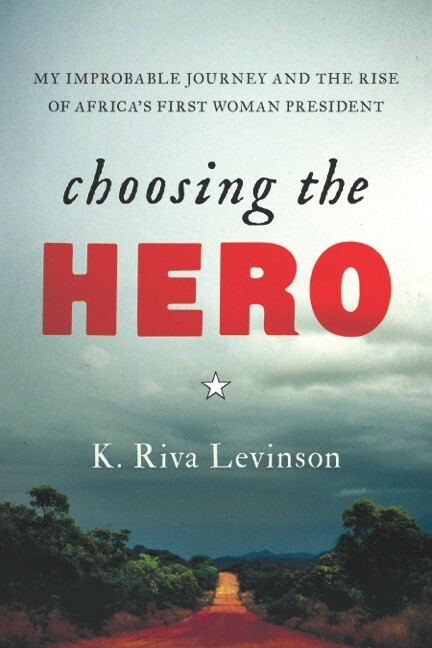 Karen Riva Levinson’s ‘Choosing The Hero’ is an interesting book. In fact, it’s more than that. It’s a must-read for anyone interested in Liberia’s contemporary history. It will also be very useful for students in international politics. Since I started reading about Liberia, in the seventies of last century, preparing a teaching job at the University of Liberia, I have read many books on this West African country. Levinson’s book definitely is a valuable additional work to an already considerable stack of literature on Africa’s oldest republic. Freed slaves and freeborn blacks and coloured people from the United States of America created Liberia in 1847. They and their descendants called themselves ‘Americo-Liberians’. The collision and subsequent conflicts between Americo-Liberians and the indigenous population of the region still haunt Liberia today despite the historic election victory of a woman who has both, tribal roots and an Americo-Liberian background: Ellen Johnson Sirleaf. 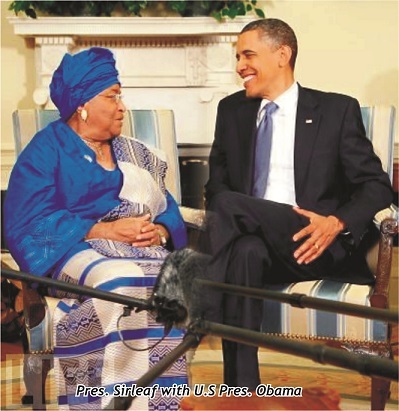 Levinson’s book is not a book exclusively devoted to Liberia or to Ellen Johnson Sirleaf. It is not for those who just start reading about Liberia and Liberian politics. It is especially useful for those who are familiar with Liberia’s past and present problems and who are interested in the backstage wheeling and dealing of actors in international politics, not only in the United States – also in Liberia. Riva Levinson is an American strategist on international policy issues who worked for various American lobbying firms such as BMS&K (Black, Manafort (! ), Stone & Kelly), companies that apparently are willing to do any work for the highest bidder. The author picked an appropriate title for her book. On the one hand it is a personal narrative, the evolution of her professional career that started with at times mercenary-ish work in politically unstable countries across the globe, often ruled by merciless dictators and/or emerging from a civil war: Iraq, Nicaragua, Equatorial Guinea, Somalia, Angola, Nigeria, and – of course – Liberia, to name but a few. On the other hand she gives us a valuable insight into the political career of Ellen Johnson Sirleaf, President of Liberia, and who made history as Africa’s first democratically elected woman president. To avoid any misunderstanding, the author never engaged in illegal activities (other than bribing officials at airports and in emergency situations – to get as quick as possible out of a country in crisis). Europeans and notably we, the Dutch, we are ruled by different laws in this respect. What is legal in the United States (lobbying activities) – as long as you abide by the rules of the game and the prescribed procedures – at times is very questionable or outright forbidden in some European countries such as the Netherlands. Be that as it may, it makes Levinson’s book maybe even more interesting. I will not dwell on the author’s work and adventures in aforementioned countries – except for Liberia – but one thing is sure: it provides for worthwhile, fascinating, and sometimes breathtaking reading – notably the chapter on her travelling in Iraq during Operation Iraqi Freedom. The book is very well written and reads easily. Liberians will say: “Riva Levinson, she’s a strong woman!” and I fully agree. The book starts with her brief, unsuccessful stay in Siad Barre’s Somalia (late 1960s), one of the countries where US diplomacy and foreign policy failed, like in present-day Iraq whose population still bears the brunt of another US failure. Her frankness is commendable; the book provides us with a good insight in the evolution of the author’s mind and emotions. When choosing for Sirleaf in the summer of 1996 (“I want to work for Ellen Johnson Sirleaf ”, p.51), she realizes that she is at a personal crossroads (”It’s time to stop and examine what I am doing and why”, p.51). 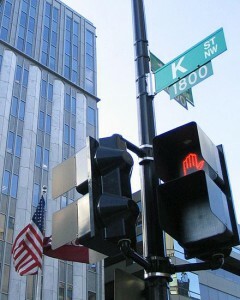 She starts a process that ultimately leads to her resigning from her job, at BKSH & Associates, another lobbying firm, in December 2006. “I need to maintain a certain integrity in my assignments.” she writes about her decision to quit (p. 160). She then creates her own company, KRL International. From now on she is her own boss and decides which contract to take. With her important network of key actors and other important people (on Capitol Hill in Washington DC and in Langley/McLean, Virginia, too many to mention here) and her knowledge of ‘how Washington works’ I am sure we will hear more about her in the near future – in her profession as a successful lobbyist, or in an active (public) political role, or as an academic/writer. While reading her book she reminded me of Herman Cohen. The former US Assistant Secretary of State for African Affairs is well known for his secret diplomatic deals with African leaders in trouble, in countries including Angola, Ethiopia, Liberia, Mozambique, Rwanda, Sudan and Somalia. Read his book ‘Intervening in Africa: Superpower Peacemaking in a Troubled Continent’ (New York, 2000). After leaving diplomatic service, Cohen was paid for lobbying activities and consultancy services by (among others) Presidents Blaise Compaoré of Burkina Faso, José Dos Santos of Angola, Muammar Gaddafi of Libya, Laurent Kabila of Congo Kinshasa and …. Liberia’s Charles Taylor. I sincerely hope, however, that Riva Levinson will be more selective than Herman Cohen in choosing her (future) clients. The first time Riva Levinson sets foot on Liberia’s soil is in 2005, in July 2005 to be more precisely. Everyone familiar with Liberia knows that in July the rainy season is in full swing and that humidity is close to 100 per cent. The second civil war (1999-2003) was just over. Gyude Bryant had taken care of the interim-management of the country (2003-2006) after Taylor’s forced exile. Later that year, Ellen Johnson Sirleaf would defeat George Weah, her main opponent in the 2005 presidential elections. Many in Liberia and abroad were enthusiastic about Ellen’s victory, including Riva and me. Liberia had to re-start from scratch. We were all aware that it wouldn’t be an easy task and that it would take many years to rebuild everything that had been destroyed during fourteen years of civil war. Riva Levinson does not hide her admiration and affinity for ‘Ellen’. At times it seems as if ‘Ellen’ has replaced her grandmother (‘Oma’) with whom she had a close relationship until her death. Riva is prepared to fight for Ellen, her faith in her is unconditional. Her work for president Sirleaf is very successful and she is an effective lobbyist for Africa’s oldest republic, looking after its interests and arranging meetings for Liberia’s president with key-actors in the US. However, the book does not pretend to be an exhaustive biography of ‘the Iron Lady’, the nickname for Liberia’s first female president. Those interested in more should read Sirleaf’s autobiography, entitled ‘This Child Will be Great “ (2009). Besides, it is my opinion that much of Liberia’s contemporary history is still in the writing. I am convinced that there are many Liberians who have been – and still are – closely involved in their country’s recent history who would be perfectly placed to write this story and should do so. Riva Levinson provides us with some names – Abdoulye Dukulé, Amara Konneh, Antoinette Sayeh, Winston Tubman, Conmany Wesseh – but I also think of eminent scholars and prominent politicians such as Elwood Dunn, Henry Fahnbulleh, James Fromoyan, Amos Sawyer, Byron Tarr, Togba-Nah Tipoteh, Kofi Woods, who – regrettably – are absent from the book. Prominent seated at President Ellen Johnson Sirleaf’s inauguration in January 2006 were, I quote “Speaker of the House, Edwin Snowe, accused of stealing millions of dollars from a Liberian oil company, Senator Adolphus Dolo, known during the war as “General Peanut Butter” after his favorite food and accused of eating his victim’s body parts; Senator Prince Johnson, the former rebel leader who hacked off President Samuel Doe’s ears before killing him in 1990; and finally, to the surprise of many outsiders, Senator Jewel Howard Taylor, the former First Lady to ex-president Charles Taylor. “ Unquote. (p. 151). Politics and politicians are not always easy to understand. Was there a strategy behind the choices that President Sirleaf made, some of which were severely criticized such as the impunity of former warlords? Who knows? 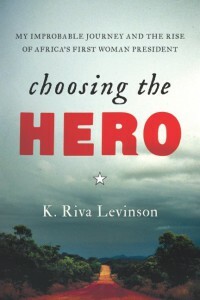 I admire Riva Levinson for writing an honest, compelling book, and congratulate her with this important contribution to an already long list of books and articles that provide us with more insight into Liberia and one of its main political actors, President Ellen Johnson Sirleaf, Africa’s first democratically elected woman president, co-winner of the Nobel Peace Prize and numerous more awards, distinctions and honorary academic degrees. What President Sirleaf’s legacy will be, only future can tell. Her successor, who is to be elected next year, faces a difficult task. I am pretty sure that K. Riva Levinson will be following events in Liberia closely. This entry was posted in 1847, 2005 presidential elections, 2017 presidential elections, Abdoulye Dukule, Adolphus Dolo, Africa's longest serving president, Amara Konneh, Americo-Liberians, Amos Sawyer, Angola, Antoinette Sayeh, BKSH & Associates, Blaise Compaore, BMS&K, Byron Tarr, Capitol Hill, Charles Gyude Bryant, Charles Taylor, Choosing the Hero, Civil War(s) Liberia, Congo Kinshasa, Conmany Wesseh, Corruption, Democratic Republic of Congo (DRC), Dos Santos, DRC, Edwin Snowe, elections, Elections in Liberia, Ellen Johnson Sirleaf, Elwood Dunn, Equatorial Guinea, Ethiopia, Gaddafi, General Peanut Butter, George Weah, Henry Fahnbulleh, Herman Cohen, Iraq, Iron Lady, James Fromoyan, Jewel Howard Taylor, José dos Santos, Justice, K.Riva Levinson, KRL International LLC, Langley Virginia, Laurent Kabila, Liberia, Libya, lobbying fiirms, lobbying firm, Manafort, Monrovia, Mozambique, National reconciliation, nepotism, Nicaragua, Nigeria, Nobel Peace Prize, oil, Operation Iraqi Freedom, Prince Y. Johnson, Reconciliation, Riva Levinson, Rwanda, Samuel Kanyon Doe, Second civil war 1999-2003, Siad Barre, Somalia, Sudan, Teodoro Nguema, This Child Will Be Great, Tipoteh, UNDP, United States, United States of America, University of Liberia, USA, Washington DC, Winston Tubman. Bookmark the permalink.